Disposable tableware refers to the tableware that is thrown away after one-time use. This includes disposable spoons, bowls, knives, cups, plates, forks, napkins, as well as chopsticks etc. These items make our lives easier and more sanitary, as there is no need to clean them. However, they produce a massive amount of waste. And it’s not just plastic (both polystyrene and polypropylene) . The disposable tableware can consist of paper, laminated cardboard, polystyrene foam, aluminum foil, plastic wrapping, and more. Much of this material is recyclable. And even if it isn’t, landfills are becoming more and more crowded and increasing regulations as to the volume/size of waste. Combined, this creates a need for disposable tableware baling. Especially for eateries and fast food operations. Disposable Tableware baler is the right way to go. 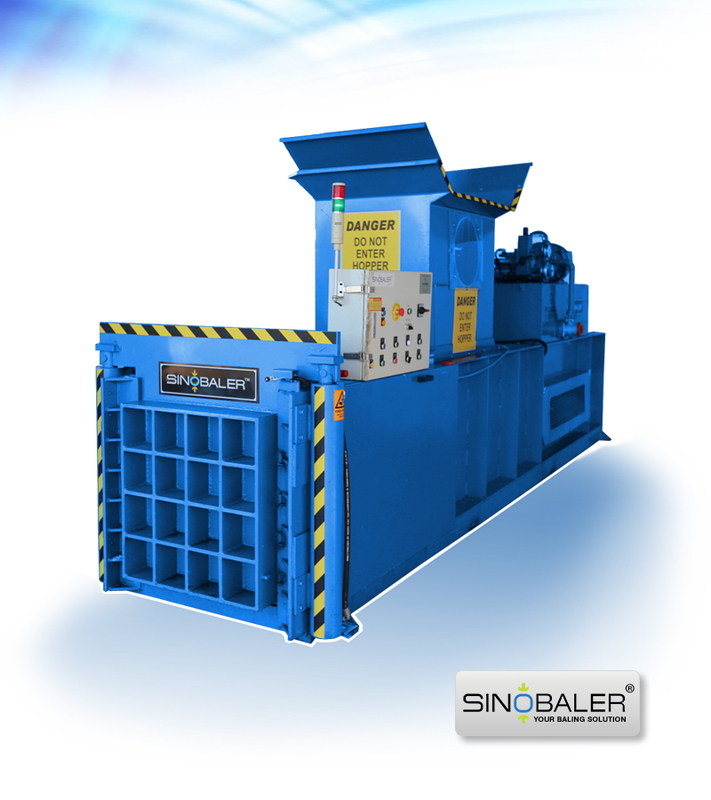 Sinobaler has several baling machines that are ideal for disposable tableware. Our manual-tie horizontal baler is a workhorse, capable of producing large bales of up to 1100*1100*1200 (mm) in size, and weighing 700-900kg. 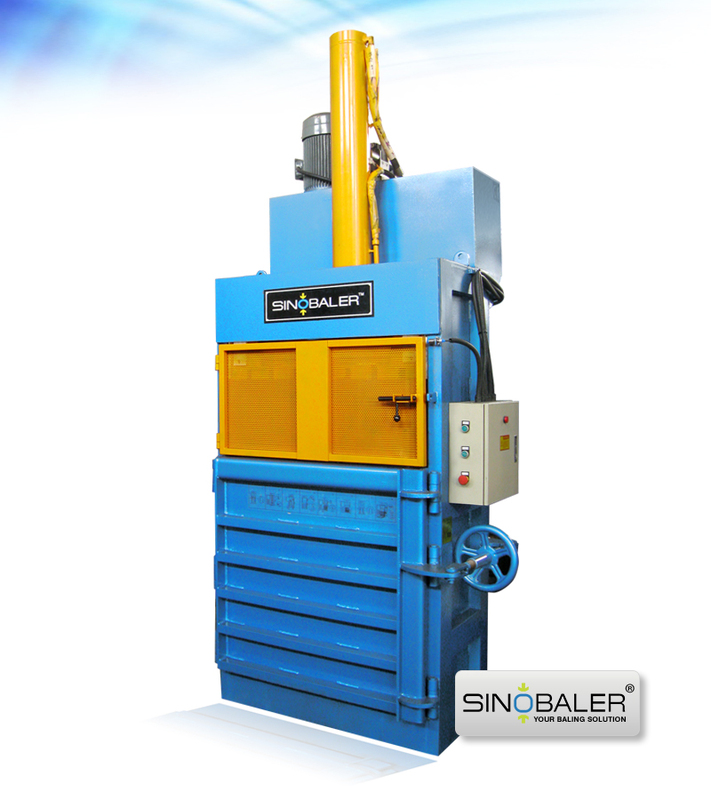 These balers can also be working with a conveyor feeding system which maximizes efficiency and throughput. It can be up to 4-6 bales an hour. For smaller operations and/or needs, consider a multipurpose or long-stroke baler. These baling machines are compact enough for even the smallest location. Yet it is versatile to handle a myriad of baling needs, including disposable tableware. Depending on the model you choose, you can produce 1-7 bales per hour, from sizes ranging from a compact 600*400*500 (mm) all the way to 1500*760*1000 (mm) (which is a sizable bale.) Weights can range from 20-500kg. The best part is these machines are easy to operate, usually requiring a single person to perform all tasks (including securing the bales.) In addition, in the case of cups or similar, some models can even drain away excess liquids, resulting in a cleaner, more manageable end product. 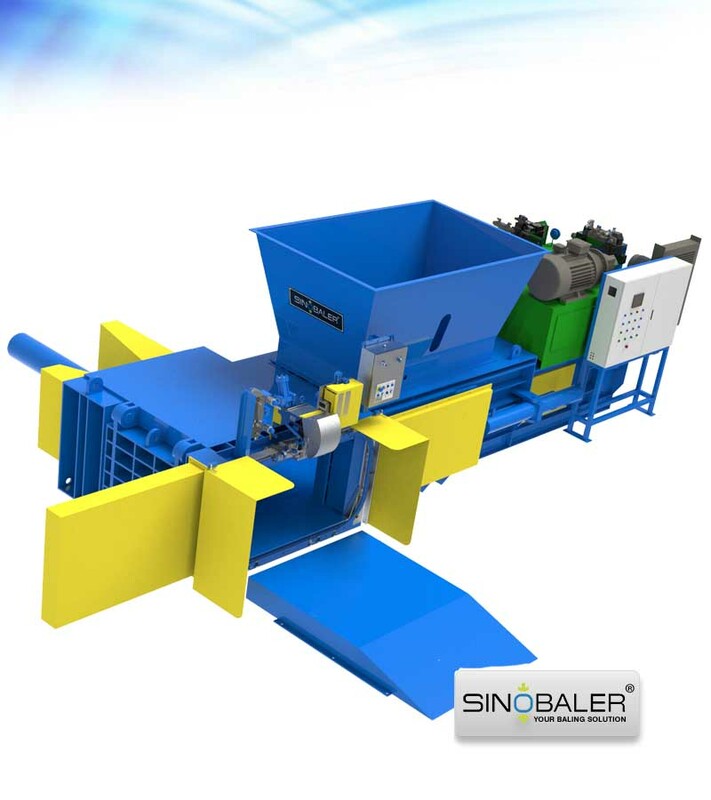 If you need a baler for any kind of disposable tableware (or anything else), contact Sinobaler today, and we’ll help you choose the ideal baler for your needs. View more size reduction machines.